School Trunk | Boarding Staff - are you tearing your hair out at the end of term? 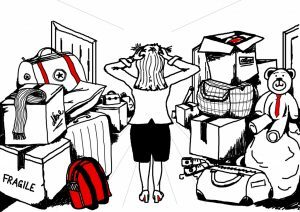 Do you find yourself tearing your hair out at the end of term as students struggle to pack all their belongings up and clear their rooms? School Trunk provides a service to schools, whereby families can opt in to have us clear their children’s belongings at the end of term, rather than having to try and squeeze everything into a car. The School offers an opt in or opt out option to families. Costs per holiday start from just £25 per student including crate rental! So why not help your families as well as your colleagues by offering School Trunk at your school? Contact us to find out more – info@schooltrunk.org – and lets us to the hard work of moving all the stuff!